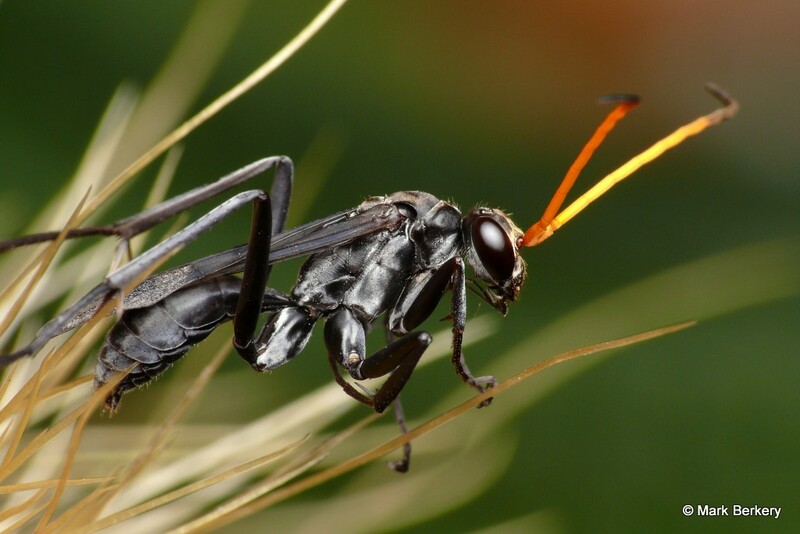 This is the same kind of wasp I watched fight two ants for its life two years ago. Here it came into the house and was supping water from the draining board. I brought it outside and put it on some plants and it posed for me for a few seconds before taking off into the night, though not far I’m sure. Once again; wonder and behold the beauty!Thanks. It’s so good to visit your site again and be transported into an amazing world of meticulous detail and wonder. Each creature has been so perfectly crafted for its niche. I am in awe. Nature is amazing, and beautiful – even the so-called ugly.